Eastman Kodak Company (NYSE: EK), and Document Security Systems, Inc., a leader in optical deterrent technologies announced that the two companies have entered into an agreement to introduce applications which will enable a broad range of industries and governments to combat the increasingly damaging effects of counterfeiting and brand fraud. Utilizing DSS’s Authentiguard® document security and counterfeiting prevention software and printing systems and Kodak’s leading imaging technology, Kodak will market a proprietary suite of secure image technology products under its own brand. * Security Printing Technologies for vital records, coupons, gift certificates, transcripts, car titles, text books, checks, prescription forms, permits. * Digital Security for digital presses, securing internet-generated documents and alpha/numeric MICROSOFT OFFICE Applications, data/file security for OUTLOOK e-mails, EXCEL Spreadsheets, POWERPOINT Presentations and WORD Documents. * Plastic Substrate Security for ID cards, drivers’ licenses, gift cards, access cards, containing radio frequency identification (RFID), biometrics, barcodes, magnetic stripe, holographs and plastic watermarks. * Packaging and Label Security Technologies for consumer products, food and beverage materials, pharmaceutical, anything requiring a package or label. Original source: Kodak’s Security Solutions Group Announces New Agreement with Document Security Systems, Inc.
Visit our web store for high quality Kodak printer cartridges and supplies. Konica Minolta Business Solutions U.S.A., Inc. (Konica Minolta) announced the launch of the Konica Minolta Clean Planet Recycling Program that will provide easy and cost-free consumables recycling to all customers. Whether relying on a single desktop printer, a complete fleet of bizhub MFPs, or professional bizhub PRO or bizhub PRESS production print system, customers can help reduce their ecological footprint with the Clean Planet Recycling Program's streamlined return and recycle process. Konica Minolta has designed technologies with the environment in mind - saving energy, minimizing pollution and reducing environmental impact through the entire life cycle of its products. With the Clean Planet Recycling Program, customers will now be able to return and recycle all major consumables - including toner cartridges, imaging units, waste toner bottles, developer/developer units and drums - for all Konica Minolta models without any shipping or processing costs. Konica Minolta's Clean Planet Recycling Program also ensures that received recyclables are processed in an environmentally safe and responsible manner - no recyclable items are permitted to go into landfills. "Konica Minolta invested heavily in developing this program to ensure it would bring only the highest value to our customers, and we are excited to launch it as a critical part of our corporate environmental initiatives," said Kevin Kern, senior vice president, marketing, Konica Minolta Business Solutions U.S.A., Inc. "The Clean Planet Recycling Program seeks to ensure that we are not only addressing the environmental concerns of our customers, but also meeting Konica Minolta's responsibilities for global sustainability. While delivering market-leading products and solutions is an ongoing commitment to customers, this new initiative ensures that customers can now count on Konica Minolta for much more than just their digital imaging needs." Visit our web store for high quality Konica Minolta Laser Toner Cartridges & other printer supplies. Toshiba America Business Solutions Inc. (TABS) color multi-function printers (MFPs) received multiple honors in The Office Products Analyst 2010 Color Dealer Product Study, including "Best Overall" (tied for first place). Additionally, Toshiba was rated "Best" in six product sub-categories including: Color Resolution, Color Fidelity, Overall Image Quality, B/W Cost per Page, Controller Reliability and Scanning Reliability. Toshiba also secured "Best Overall" for Service Support, as well as "Best" in four of the Service Support sub-categories including: Order Processing, Ease of Network Installation, Color Service Training Program, and Effectiveness of Service Hotline. "We're very happy that our dealers continue to express that Toshiba color products are among the best in the industry," said Joseph Contreras, director, product and solutions marketing, TABS. "It's also equally important to us that they feel they are receiving the support they need. Our goal is to help them be successful by providing not only outstanding state-of-the-art technology and products, but superior service as well, and this survey indicates that we are meeting that goal." The Office Products Analyst conducts an annual dealer survey to determine ratings and rankings of current market offerings. The 2010 dealer survey is based on in-depth telephone interviews with 177 service managers in copy dealerships nationwide who are asked to rate MFPs that they sell and service on a scale of one to ten (ten being the highest) within a number of categories. Those 177 dealerships represented 22,335 multi-functional color units on the market. Toshiba America Business Solutions Inc. (TABS) is an independent operating company of Toshiba Corporation, the seventh largest electronics/electrical equipment company in the world. TABS manages product planning, marketing, sales, service support and distribution of copiers, facsimiles, multifunction printing products, network controllers, and toner products throughout the United States, Mexico, Brazil, Latin America, and the Caribbean. Headquartered in Irvine, Calif., TABS has five divisions: the Electronic Imaging Division; the Toner Products Division; the Document Solutions Engineering Division; the International Division; and Toshiba Business Solutions (TBS), a wholly-owned subsidiary corporation of TABS, that operates a network of wholly-owned office equipment dealers throughout the United States. Visit our web store for high quality Toshiba laser toner cartridges and more copier supplies. Few gifts touch the heart like an oversized photo of loved ones, close friends, or special places and events. And with tens of millions of digital SLR and high megapixel point-and-shoot cameras in homes across the world, more people than ever can consider giving one-of-a-kind, truly personal gifts this holiday season. Printing large format photos – bigger than 8”x10” – is no longer just the domain of the professional photographer, as professional caliber printers like the Epson Stylus Photo R1900 wide-format printer are becoming increasingly popular with the average digital photography hobbyist. Epson R1900 delivers vibrant photos up to 13-inches wide and 44-inches long, and offers the highest level of media versatility of any printer in its class. * Digital Image Size: In order to get a high quality enlargement, make sure your file is your final print size with at least 180 ppi (pixels per inch) resolution (300-360 ppi is ideal). For example, if you want to print an 11” x 14” picture at 180 ppi, you will need a file that is 1980 x 2520 pixels or five megapixels. It’s important not to resample the image to make it bigger as you will get a blurry or pixilated image. * Color: It’s easy to get caught up in complex color adjustments, when all you want is a beautiful print. One of the best ways to get a great looking print from the Epson R1900 is to use one of the Advanced color modes. In the printer driver’s “Advanced” tab, try changing the “Epson Standard” setting to “Adobe RGB” mode for more vibrant and colorful output. * Media Type: Using Genuine Epson papers, such as Signature Worthy fine art papers can add sophistication and depth to your images. * Framing & Matting: When you’re getting a print professionally framed, make sure the print has had at least a day to cure prior to framing for maximum durability. In addition, printing with at least a half-inch to an inch margin around the edges gives the framer space to work with and leaves the entire image intact. Providing two prints also gives your framer a safety net for anything unexpected that may happen during the matting and framing process. * Creativity: Using more than one media type for your print is a great way to make a one-of-a-kind keepsake. For example, try printing a background on canvas, starting with a group photograph and have it framed without glass. Then add on layers of cropped glossy photos and other embellishments for a true memento. Visit our web store for high quality Epson inkjet cartridges, laser toner cartridges & printer ribbons. Continuing its long-standing commitment to environmental sustainability, Canon USA, Inc. along with the Arbor Day Foundation, announced that this year's Canon Forest Program has planted more than 38,000 trees nationwide and more than 85,000 trees since the program's inception in 2008. Commencing earlier this year and spanning across several product lines, Canon agreed to plant a tree in the nation's forests for every five Canon Generation Green Products registered on the Canon USA website. As a result of this program, Canon U.S.A. will also be extending its Canon Forest Program to include the imageRunner Advance Series. Through this program extension, Canon U.S.A. will make a donation to the Arbor Day Foundation to plant one tree for every qualified Canon imageRunner Advance Series model sold through December 31, 2010. Introduced in 2009, imageRunner Advance Series incorporates an array of environmentally conscious features such as bio-based plastic components and lead-free parts, which help to dramatically reduce CO2 emissions over the entire product lifecycle. "This year's program has exceeded expectations and we are excited to continue our relationship with the Arbor Day Foundation," said Bunji Yano, senior director and general manager, Corporate Communications, Canon U.S.A. "Canon has a long-standing history of environmental preservation and stewardship and the success of this year's initiative further underscores Canon's commitment to being part of the solution when it comes to protecting our natural resources." The products that are part of Canon's Generation Green Program feature paper-saving technology and energy-saving measures, as well as minimal product packaging, all contributing to the overall sustainability of the environment. For more information on Canon U.S.A. Generation Green initiatives, please visit www.usa.canon.com/green. Dell, Hewlett-Packard and IBM are the greenest U.S. companies, with IBM claiming the number one spot globally, according to Newsweek’s Green Rankings 2010. Rounding out the top five U.S. companies on the Green Rankings 2010 list are Johnson & Johnson at number four and Intel at number five. And joining IBM on the top five Global companies on the 2010 list are HP at number two, Johnson & Johnson at number three, Sony at number four and GlaxoSmithKine at number five. Comparing the companies 2009 positions, both Dell and IBM increased, while HP slightly decreased. In 2009, HP claimed the number one spot; Dell was named number two and IBM number five. The Newsweek Green Rankings grade America's 500 largest publicly traded companies, as measured by revenue, market capitalization and number of employees, on their environmental performance, policies and reputation as environmentally responsible companies. The complete list can be found at www.newsweek.com/green. * The Environmental Impact Score, compiled by Trucost, is based on more than 700 metrics, including greenhouse-gas emissions, water use and solid-waste disposal. * The Green Policies Score is based on data collected by MSCI ESG Research and reflects an analytical assessment of a company's environmental policies and initiatives. * The Reputation Score is based on a survey of academics, environmental officers and CEOs. To calculate a company's overall ranking, the three component scores were standardized, combined using a weighted average (45 percent for the Environmental Impact Score, 45 percent for the Green Policies Score, and 10 percent for the Reputation Survey) and mapped to a 100-point scale. Visit our web store for high quality Dell, HP & IBM inkjet cartridges, laser toner cartridges & many more printing supplies. Lexmark International, Inc. is calling on third-party developers to expand the company's offering of all-in-one (AIO) printer-based applications for small and medium businesses (SMBs), which Lexmark will publish on its SmartSolutions Center, for users to download to their Lexmark AIOs. "Last year, Lexmark introduced three AIOs that let small business customers take their devices way beyond printing by enabling them to download and customize cloud-based and other applications, which we call SmartSolutions, that save them time and money," said Paul Rooke, Lexmark executive vice president and president of its Imaging Solutions Division. "By opening our SDK to developers, Lexmark can build and provide a more dynamic and robust library of SmartSolutions to enable customers to better manage the constant flow and mix of hardcopy and digital content that co-exists in today's modern office." Additionally, Lexmark is announcing the newest SmartSolution, Google Analytics, which analyzes and reports on Web traffic right from the AIO. Google Analytics will be available for download early next month. Other current SmartSolutions include applications that range from one touch solutions such as scan to e-mail and eco-copy, to Google Calendar, Stamps.com shipping, Twitter, Scan to Evernote, TripIt, Scan to Box and Facebook. Lexmark is now soliciting developers who have a strong background in developing Web applications using Adobe Flash technology. 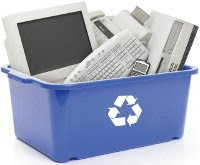 The Electronics TakeBack Coalition released a new report card that grades computer, television, printer, and game console companies on their efforts to take back and recycle their old products. Most of the manufacturers passed muster, but most printer companies and some TV ones flunked. The highest marks go to Dell, Samsung, and Asus, but there were still some companies with failing grades, including Brother, Kodak, Lexmark, Philips, Funai, Epson, and RCA (now owned by Technicolor). Samsung also got a “dishonorable mention” because of concerns about their occupational health record at manufacturing plants in Korea where many young workers have been diagnosed with blood cancers and several have already died. - How many collection sites are in each state? - How much volume is coming back? * What are the companies doing to promote reuse and closed loop recycling? The printer industry generally scored the lowest marks – all failed except for HP - as well as a few TV manufacturers like Funai (5th largest U.S. seller), RCA, and Philips. Companies generally performed poorly in the “responsible recycling” category, which requires transparency in recycling policies, vendor requirements, and vendors used, as well as giving the most credit to companies whose recyclers are qualified under the e-Stewards program. The e-Stewards program evaluates electronics recyclers against the highest standards in the industry, including a ban on exporting toxic e-waste (included untested and non-working products) to developing countries. The program has evolved from a voluntary “Pledge” program into a certification program with a comprehensive standard and accredited third party auditors who certify whether a recycler conforms to the standard. The report card was released in advance of the holiday buying season, when consumers typically buy a large volume of electronics in the U.S.
Visit our store for high quality compatible and remanufactured inkjet cartridges, laser toner cartridges and more printing supplies. The Production Printing Business Group (PPBG) of Ricoh Americas Corporation today announced a new strategy for solutions and professional services called TotalFlow™. TotalFlow is a Ricoh branded open architecture under which all production printing solutions will be positioned. For customers seeking to improve process efficiency and effectiveness, under the TotalFlow umbrella Ricoh will provide a "one-stop" experience, including both Ricoh and leading 3rd party solutions. TotalFlow provides four fundamental document processes for customers: Capture, Manage, Produce, and Innovate. The TotalFlow concept is designed to help manage entire workflows, simplify workflow processes and expand access to a wide range of solutions. Under Capture, Manage and Produce, TotalFlow offers a full range of offerings, including web-to-print, personalization, document and job management, and multi-channel marketing capabilities, all supported by Ricoh’s industry leading printing platforms. Innovate consists of services such as Ricoh’s newly launched Business Booster Program which includes a Resource Center, Consulting Services, Marketing Services and much more. The Ricoh Business Booster program is available today and can be accessed at www.ricohbusinessbooster.com. “Since Ricoh’s entry into production printing with the formation of PPBG in 2006, we have made steady progress in developing a solutions portfolio and technical staff with an eye on customer support at the highest level. Today, a high percentage of our customers rely on Ricoh to take advantage of today’s rapidly advancing software capabilities.” said Carl Joachim, vice president of marketing for PPBG, Ricoh Americas Corporation. “The announcement of TotalFlow as both a brand, and open architecture, is yet another statement underscoring Ricoh’s commitment to the industry. Future Ricoh developed solutions under the TotalFlow brand, in conjunction with those provided through our alliance program, will give our customers more options than ever before, all backed by Ricoh’s world class service and support. Additionally, InfoPrint Solutions Software Advantage, which includes the industry leading workflow solution InfoPrint Process Director, is a component of TotalFlow’s open architecture. TotalFlow solutions will be on display at GRAPH EXPO at the Ricoh booth, # 2017. Find out more about TotalFlow and Ricoh’s full line of solutions and services by visiting www.ricoh-usa.com. Xerox Corporation (NYSE: XRX) is helping mobile office workers and IT professionals stay productive with three tools that make it easier than ever to print regardless of location. The Xerox Mobile Print Solution lets mobile professionals easily and securely print e-mails, presentations and other business documents from any smart phone or e-mail-enabled device. Enhanced Mobile Express and Global Print Drivers tell workers instantly what printers are available to their laptop for fast printing options for the roaming workforce, while offering simplified print management by IT staff. The Xerox Mobile Print Solution allows users to print from e-mail-enabled devices without having to download drivers or applications. Users simply e-mail the file in its original format, such as Microsoft Word or Adobe PDF, to a secure server. A confirmation code is then e-mailed to the user to securely release the document for printing from any Xerox Extensible Interface Platform®-enabled multifunction printer (MFP). * Preserves all formatting and data when printing Microsoft Office documents, just like printing from the desktop. * Offers full preview of the document on the MFP’s user interface before printing. * Provides the same print settings such as duplex, color and finishing options that are available to users on a desktop. Enhancements have also been added to both the Xerox Mobile Express and Global Print Drivers. These tools allow mobile workers to print to virtually any printer or MFP available on the network, regardless of location or brand, and reduce the time spent managing print drivers for various devices. * Eliminate the need for IT professionals to install new drivers to support full functionality on current and future Xerox products. * Provide access to the latest set of features on Xerox printers and MFPs such as Color by Words, which displays simple words to select colors such as “red apple” or “blue sky” for easy and accurate color printing. * Help workers identify print jobs in busy workgroups without banner pages by automatically including user and job information in the unused page margin eliminating wasted pages. * Offer Earth Smart print driver defaults that can be set to include two-sided printing, proof print, recycled paper and draft mode. The Mobile Express and Global Print Drivers are free and currently available for download at www.office.xerox.com/software-solutions/mobile-printer-driver/enus.html and www.office.xerox.com/software-solutions/global-printer-driver/enus.html. The Xerox Mobile Print Solution will be available for early customer installs beginning in the fourth quarter, with general worldwide availability in early 2011. Learn more about Xerox’s Mobile Print Solution at http://www.xerox.com/mobileprintsolution. Visit our store for high quality Xerox laser toner cartridges and inkjet cartridges. Hewlett Packard / HP announced multiple innovations across its printing portfolio, including 10 industry-first technologies that significantly improve how customers interact with their digital content. The new solutions are designed to help enable all customers – from consumers to small and midsize businesses (SMBs) to enterprise organizations – to better manage and access digital content, convert information from paper to digital with one touch, and quickly unlock content repositories in the enterprise. HP introduced two content devices designed to serve the access and print needs of digitally connected consumers. In addition, the company has simplified the print experience from mobile devices by offering HP ePrint on all new HP Photosmart devices as well as direct printing from Apple iPad, iPod touch and iPhone devices with iOS 4.2. The HP Photosmart eStation All-in-One combines the full features of an HP All-in-One with web browsing and access to HP print apps and widgets – plus a detachable, 7-inch, full-color touchscreen for mobile freedom in the home. Additional features include access to Barnes & Noble’s expansive eBookstore with more than 1 million digital titles as well as one-touch access to customized content from Yahoo!, Yahoo! Mail, Yahoo! Messenger, Yahoo! Search and Yahoo! Weather direct from the display. Customers also can fax without the need of a phone line. The ENERGY STAR qualified HP Photosmart eStation is currently available in select countries for $399. The HP ENVY 100 e-All-in-One is a sleek, slim-line printer designed to complement modern home décor and features a high-resolution touchscreen display, whisper-quiet operation and a retractable paper tray. The ENERGY STAR qualified HP ENVY 100 e-All-in-One is the planet’s first PVC-free printer and is expected to be available worldwide next month for $249. HP’s new portfolio of web-connected printers for SMB customers makes it easy to access HP print apps, share information and ePrint wherever business happens. HP also is working with Intuit’s Partner Platform to deliver an app that will allow small businesses to easily scan, store and manage financial materials via Intuit’s QuickBooks. 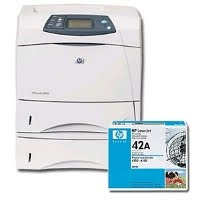 The wired and wireless HP LaserJet Pro CM1415fnw Color MFP is the first HP LaserJet printer that prints from the web and mobile devices and offers a 3.5-inch color touchscreen control panel that allows users to easily print, scan, copy and fax. The device is available now for $449. The HP Officejet Pro 8500A e-All-in-One series allows small businesses to make their best impression with professional-quality color prints, marketing materials or other business documents for up to 50 percent lower cost per page and while using up 50 percent less energy than color laser printers. It is available now starting at $299. The HP Officejet 7500A Wide Format e-All-in-One produces professional-quality color documents for the lowest cost per page compared with in-class, wide-format inkjet all-in-ones on a range of paper types and sizes. The 7500A includes integrated wired and wireless networking for sharing with multiple PCs and includes a 2.36-inch color touchscreen display. It is available now for $299. The wired and wireless HP Officejet 6500A e-All-in-One series lets users produce professional-quality, lowest-cost-in-class color documents, plus fax, copy and scan. The 6500A uses 40 percent less energy than comparable laser printers and includes a 2.36-inch color touchscreen display. Available now starting at $149. Additionally, HP introduced an expanded portfolio of printers with HP ePrint technology, expected to be available this winter, and a compact scanner. The HP LaserJet Pro CP1025nw Color Printer is expected to be the world’s smallest color laser printer and one of the world’s most energy-efficient color laser printers. It is expected to be available in November for $229. The HP LaserJet Pro CP1525nw Color Printer is expected to be available in November for $299. The HP LaserJet Pro M1536dnf MFP is available now for $299. The HP Scanjet Pro 3000 Sheet-feed Scanner is expected to be available in November for $449. HP FutureSmart Firmware and the latest version of the HP Open Extensibility Platform (OXP) help extend the life of an imaging and printing fleet while helping to increase office productivity and simplify fleet management. These technologies enable SMB and enterprise customers to use future solutions on hardware purchased today as well as extend those capabilities to OXP-enabled devices dating back to 2005, providing significant investment protection. Together, they allow HP and solution partners to develop advanced applications, making HP multifunction printers a document workflow kiosk for multiple business processes that enhance productivity. The new printing products and all future networked, office-class HP LaserJet printers are based on HP FutureSmart Firmware. The new products, services and solutions are designed to help HP Managed Print Services customers cut costs, improve productivity, mitigate risk and drive business results. New products include: The HP Color LaserJet Enterprise CM4540 Multifunction Printer series is expected to be available this winter for $3,799 to $5,549. The HP Color LaserJet Enterprise CP5520 Printer series is expected to be available this winter for $2,499 to $4,399. The HP Scanjet 7500 Enterprise Flatbed Scanner is expected to be available this winter for $1,399. Visit our store for high quality HP inkjet cartridges & HP laser toner cartridges. Printers - In 1953, the first high-speed printer was developed by Remington-Rand for use on the Univac computer. In 1938, Chester Carlson invented a dry printing process called electrophotography commonly called a Xerox, the foundation technology for laser printers to come. The original laser printer called EARS was developed at the Xerox Palo Alto Research Center beginning in 1969 and completed in November, 1971. Xerox Engineer, Gary Starkweather adapted Xerox copier technology adding a laser beam to it to come up with the laser printer. According to Xerox, "The Xerox 9700 Electronic Printing System, the first xerographic laser printer product, was released in 1977. The 9700, a direct descendent from the original PARC "EARS" printer which pioneered in laser scanning optics, character generation electronics, and page-formatting software, was the first product on the market to be enabled by PARC research." According to IBM, "the very first IBM 3800 was installed in the central accounting office at F. W. Woolworth’s North American data center in Milwaukee, Wisconsin in 1976." The IBM 3800 Printing System was the industry’s first high-speed, laser printer. A laser printer that operated at speeds of more than 100 impressions-per-minute. It was the first printer to combine laser technology and electrophotography according to IBM. In 1992, Hewlett-Packard released the popular LaserJet 4, the first 600 by 600 dots per inch resolution laser printer. In 1976, the inkjet printer was invented, but it took until 1988 for the inkjet to become a home consumer item with Hewlett-Parkard's release of the DeskJet inkjet printer, priced at a whopping $1000. Typewriter - Christopher Latham Sholes(1819-1890)was a U.S. mechanical engineer who invented the first practical modern typewriter, patented in 1868. Sholes invented the typewriter with partners S. W. Soule and G. Glidden, that was manufactured (by Remington Arms Company) in 1873. He was born February 14, 1819 in Mooresburg, Pennsylvania, and died on February 17, 1890 in Milwaukee, Wisconsin. Before the computer, the typewriter may have been the most significant everyday business tool. Christopher Latham Sholes and his colleagues, Carlos Glidden and Samuel Soulé, invented the first practical typewriting machine in 1866. Five years, dozens of experiments, and two patents later, Sholes and his associates produced an improved model similar to today's typewriters. The type-bar system and the universal keyboard were the machine's novelty, but the keys jammed easily. To solve the jamming problem, another business associate, James Densmore, suggested splitting up keys for letters commonly used together to slow down typing. This became today's standard "QWERTY" keyboard. Visit our store for high quality printer cartridges and typewritre ribbons. Konica Minolta Business Solutions U.S.A., Inc. (Konica Minolta), a leading provider of advanced imaging and networking technologies for the desktop to the print shop have announced that the Sir Speedy of Nashville, Tenn. (Sir Speedy) has chosen Konica Minolta’s award-winning bizhub PRO® 1200 Monochrome Digital Press, which is providing its customers the perfect balance of price and performance while allowing them to successfully and cost-effectively grow their businesses regardless of the turbulent economy. With the addition of the bizhub PRO 1200 system, Sir Speedy is delivering turn-key, customized campaigns to its customers through services such as creative design, variable data printing (VDP), data management and direct marketing response metrics. In addition, Sir Speedy is enhancing its ability to personalize products such as manuals and training booklets in several important vertical markets including Manufacturing, Utilities, High-Technology and Government. Sir Speedy selected Konica Minolta from among multiple solutions due to its ability to balance high-quality digital imaging with an excellent price point. In addition, Sir Speedy did not have to incur the cost of additional software while increasing output rip speed and solution flexibility. With the addition of the bizhub PRO 1200, Sir Speedy has been able to reduce digital monochrome expenses without any impact on quality or productivity. Designed exclusively for production print professionals, the bizhub PRO 1200 (printer, copier, scanner) and 1200P (printer) has become the go-to digital press for customers. It features new LED exposure technology for superior imaging at 1,200 DPI resolution and can output up to 3 million pages per month. Visit our store for high quality Konica Milnolta laser toner cartridges and printer supplies. Sharp Imaging and Information Company of America (SIICA) introduced the new MX-M623N and MX-M623U monochrome hi-speed document systems to its extensive lineup of multifunction products (MFPs). These new higher-volume MFPs are designed to help businesses maximize their document workflow efficiency while providing outstanding performance and ease-of-use. The MX-M623 models follow the recently introduced MX-M753, another model in Sharp’s hi-speed monochrome MFP lineup released this past Spring. Engineered to increase workflow productivity, the MX-M623 and MX-M753 devices come with an 8.5-inch high-resolution touch-screen color display and a powerful 800 MHz multi-tasking controller that processes complex jobs quickly, even while documents are being scanned. Moreover, the MFPs produce copy/print speeds of 62 and 75 pages per minute (ppm) respectively, while feeding up to 110 lb index stock through the paper trays, providing power and reliability to handle professional-level printing needs. The customizable Home Screen and My Menu simplify use by bringing access to Sharp OSA® applications and commonly-used features to the forefront of the display for one-touch operation. The MX-M623N and MX-M753N also offer a standard retractable keyboard, simplifying jobs that require repetitive data entry tasks such as email-distribution, archiving or scanning to a document management application, while also enabling quick interaction with network applications. Featuring an 800 MHz true multi-tasking controller that delivers copy, print and fax jobs continuously and can also process network scanning jobs while existing jobs are output, the MX-M623N and MX-M753N models are extremely versatile. These MFPs are manufactured with Sharp second generation micro-fine toner technology, which provides more uniform image coverage and a lower consumption rate than conventional toners, resulting in crisp, high-quality output that is also economical. These new models feature an available on-line paper capacity of up to 6,600 sheets; and a 150-sheet duplex single pass document feeder with color Scan2™ technology standard. Sharp’s award-winning Scan2 technology enables users to scan two-sided documents in a single pass, speeding up workflow, reducing misfeeds and improving reliability. The MX-M623N and MX-M753N models offer a standard, retractable keyboard that is designed to streamline data entry and simplify e-mail address and subject line entries. This sturdy keyboard offers users a familiar, ergonomic interface and makes these models convenient portals to the network, saving time on jobs that may require user authentication or include repetitive scanning and archiving of documents. The brilliant 8.5" high-resolution touch-screen color display offers intuitive menu navigation with razor-sharp graphics that makes operation simple. Coupled with Sharp’s easy-to-use Document Filing System, users can store and quickly recall frequently used files such as forms and reports. Intuitive, graphics-driven displays make it easy to search for saved documents via thumbnail images rather than file names. An advanced Image Check feature even allows files to be previewed on-screen for verification. The Sharp MX-M623 and MX-M753 document systems also feature the latest version of the Sharp OSA development platform. With the standard application communication module and external accounting module, the new MX Monochrome Series becomes the gateway to providing fast, flexible access to documents and network applications. Sharp OSA technology leverages the high-resolution display of these new Sharp MFP models to enable customized user interfaces that support richer graphics, web-based HTML, JAVA and Flash clips for the integration of motion video. Sharp OSA technology also features Open USB capability, allowing developers to provide a broader range of access control, such as the ability to log in via a card swipe and the ability to authenticate via Chip/Smart Card (CCID). These new models also include the new Sharp printer administration utility (PAU version 5.0), which incorporates a Remote Front Panel feature that allows an IT administrator to remotely take control of the device’s front panel and see exactly what the end user is seeing. The IT administrator can remotely change settings, show the user how to perform a function, or diagnose and often rectify problems without deploying a technician. The capabilities of PAU version 5.0 are fully integrated into Sharp’s intelligent Device Management (iDVM), which for the dealer can transform many service support functions from an onsite task to a remote task, leading to enhanced productivity and profitability, as well as reduced costs. Developed and marketed with MWA Intelligence (MWAi), a leading provider of M2M (machine-to-machine) solutions and tools, iDVM also enables the dealer to automate meter read collection and integrate the data into their ERP system providing an enhanced, streamlined billing process. It will also allow service providers to remotely access service logs, receive real-time service alerts and consumable levels notification, update firmware, and clone device settings, dramatically improving user uptimes and service support levels. With Sharp’s latest award-winning, multi-level document and network security suite, customers can be assured that their information is secure. These models meet the new IEEE-2600™-2008 security standard for MFPs as well as offer advanced, web-based device management for administrator level and user level login control. Sharp also offers an optional data security kit that encrypts document data using AES (Advanced Encryption Standard) methodology. This same kit also erases temporary memory on the hard drive by overwriting the encrypted data up to seven times. The MX-M623 and MX-M753 are the result of Sharp’s unique approach to designing and building office products. The company employs a global product development process in which management, business development, R&D, product development, marketing, manufacturing, training and customer service teams all work collaboratively during each stage of the product development process. This gives Sharp a 360-degree view of the MFP market, allowing the company to form a common platform strategy in which the core components of its product line are designed, developed and manufactured together. Components, software and processes are engineered to be shared across engine platforms, making Sharp’s products “look and act” similarly across virtually all segments of the market. The culmination of this approach is a line of award winning products universally praised for exceptional reliability and superior performance. The MX-M623 and MX-M753 will be available exclusively via authorized Sharp dealers and direct sales. For more information about the complete line of Sharp document solution products, contact Sharp Imaging and Information Company of America, Sharp Plaza, Mahwah, NJ 07495-1163, or call 800-BE-SHARP. Toner Cartridges - OEM, Compatible or Remanufactured? If you own a laser printer, you have already taken a step in the right direction towards lower cost printing. Laser printers consistently produce prints at the lowest cost per page in the market. However, what you might not know is that laser printers can work with OEM brand toners as well as compatible and re-manufactured toners. But which one is best for YOU? * OEM Cartridge - An OEM cartridge is one made by the Original Equipment Manufacturer, or OEM. If you own a Hewlett Packard / HP laser toner printer, then the Hewlett-Packard brand is the OEM cartridge for your printer. * Compatible Toner Cartridge - A compatible toner cartridge is made by a 3rd party manufacturer and is made up of all new compatible parts. It is similar in quality to a OEM cartridge. * Remanufactured Toner Cartridge - A remanufactured toner cartridge is when a remanufacturer takes an original oem cartridge, disassembles it, tests and replaces any worn parts, fills it with toner and re-assembles. There are many different levels and qualities of remanufactured toner cartridges and the terms compatible and remanufactured are often mistakenly interchanged. Some manufacturers will replace a few parts and call it compatible. Some manufacturers will drill a hole fill it with toner and call it remanufactured. Just be sure to purchase your toner cartridges from a reputable dealer that has a 100% satisfaction guarantee. OEM Toners are manufactured to the highest level of precision. These toners are ideal for providing the best print quality. They have a lower fail rate and have a lower probability of leaking toner in your printer. Printer manufacturers recommend that you use their toner cartridges and claim that the printer functions will be affected by other toner cartridges. They also claim the life of the laser printer is shortened by usage of unbranded toner cartridges. If your projects demand the absolute highest quality prints you should break out your pocketbook and spring for the OEM brand toner cartridges. The main disadvantage of buying OEM branded toner cartridges is the high cost.While they are economical because the cost per page is low, purchasing an OEM toner might cost you anywhere from $75 - $300. The initial cost of laser printers has come down but printer makers make up their low inital profit by in the cost of consumables, mainly toner and paper. Another problem with OEM toner cartridges is the fact that we live in an Eco conscious world and discarding toner cartridges which are not biodegradable is an environmental hazard. Buying a remanufactured toner is more enviornmentally friendly. The biggest advantage of using compatible toner cartridges is they are low cost consumables. Compatible and Remanufactured toner cartridges are available for laser printers and give good quality printing at a lower cost often half the cost of the branded cartridge. These recycled cartridges are eco friendly and do not render the non biodegradable cartridges useless. They are easily available online and there are online trade portals that specifically sell compatible toner cartridges. All reputable online stores offer guarantees and warranties. There are compatible toner cartridges for most brands of laser printers and give good value for money. Print quality of both compatible and remanufactured toner cartridges is right up there just under the OEM brand toners. One of the major disadvantage of compatible and re-manufactured toner cartridges is quality control during the manufacturing processes. These cartridges are easy to re-manufacture and can be done in your own garage. When buying them online from an auction site or a less than reputable dealer, you never really know what you're going to get. Was the cartridge completely re-manufactured, or did they just "drill and fill" it? This disadvantage can be overcome buy buying from a reputable online store with a 100% satisfaction guarantee. So what do I choose? The choice is yours. If you demand the highest quality 100% of the time, and it is within your budget, then by all means, purchase the OEM Toner cartridges for your printer. However if replacing the toner cartridge with a compatible or remanufactured cartridge is more budget friendly, then feel confident that you can get nearly the same quailty, do something good for the environment and save a little money at the same time. OEM Brands are grand, but buying toner cartridges that are cheap doesn't have to make you weep. Go Green and save some Green. Original source: Toner Cartridges - OEM, Compatible or Remanufactured? Visit our store for high quality OEM, compatible and professionally remanufactured laser toner cartridges! With more than 110 laser fax models from 19 different companies on the market today, determining, with confidence, which one is right for your office isn't easy. The latest upgrades and added features may benefit you but often come with a high price tag. What's the best modem speed for your business? Should you get a machine that prints and scans as well as faxes? What can you expect to pay? The questions are endless. However, the Better Buys for Business team has created this special report to help you cut through the clutter and tell you what you need to know to make an informed buying decision. Let's begin by clarifying what is meant by laser fax machine. These are fax machines that can print on regular paper using laser-imaging technology (that also includes LED technology, which we consider laser-class). These machines can cost between $250 and $4,000. The sub-$1,000 machines are mainly sold through retail stores such as office supplies superstores, while the larger ones are usually sold through traditional office equipment dealers. Major advances in fax standards do not occur with great frequency, partly because everything is governed by global industry standards that ensure all machines can communicate with each other. Therefore, progress requires considerable international diplomacy. Fax speeds do not change at a rapid pace. From 1980 to 1991, the fax speed standard was 9,600bps then 14,400bps became the fax speed standard. Not until 1997 were high-speed 33,600bps machines available and they are still the standard today. Though some manufacturers are still introducing machines with 14.4 modems, most new models these days come with a 33.6 modem - the fastest modem available for fax machines. The very latest developments in fax technology involve something called Internet fax. This means different things to different people, but the fundamental idea is to allow faxes to travel over the Internet for the long-distance portion of their journey. This can either be real-time transmissions of documents from machine to machine over the Internet (which is the ITU T.38 protocol), or a type called "scan-to-e-mail" (the ITU T.37 protocol), similar to sending e-mails between fax machines or faxing to e-mail addresses (something most fax machines already do). Take note of the protocol. It will help you get the type of Internet Fax capability you're after. Until recently, fax machines have been fairly expensive. One reason for such high prices is that historically, traditional office equipment dealers have controlled the lion's share of distribution. There was relatively little laser-class equipment available at the retail level (i.e., office supply superstores, mail-order catalogs, and the like). These days, however, you can find some pretty inexpensive, but surprisingly upscale, laser multifunctional devices with fax functions being offered in the retail channel, where higher sales volumes mean lower margins. Spending about $400 - $700 in the retail channel will get you a machine that in many ways matches and in some ways exceeds a dealer-channel fax machine selling for $1,200 - $2,500. Aside from relatively small paper trays, low-end retail-channel machines will give you all you need to handle a modest amount of fax traffic. And as we'll see in a moment, they also offer some of the strongest multifunctional capabilities in the fax market. What you can expect to get for less than $1,000. · A single paper tray with a 250 sheet capacity. · A choice between a 14.4 modem and a 33.6 modem. · A single fax line. If you are looking for a more rugged machine than what a low-end model can deliver, a higher-end machine may be right for you. The dealer channel plays a valuable role as a source for more upscale machines that offer heavy-duty users capabilities the retail-channel models don't. Machines with 14.4 modems, single paper trays, and fewer than 100 pages of fax memory are slowly disappearing from the market, leaving more current, feature-rich models in their place. For a state-of-the-art, high-end fax, you'll need to look at dealer-channel machines and should expect list prices in the $2,200 - $3,000 range. But unlike the retail channel, where you are likely to pay list price, the dealer channel routinely discounts list by 25% - 35%. · JBIG data compression that could reduce your phone costs by 30% or more. · Larger paper supplies - two trays, at least one of which has a 500-sheet capacity. · Anywhere from 400 to 1,000 pages of fax memory (with optional upgrades). · Optional second phone lines. 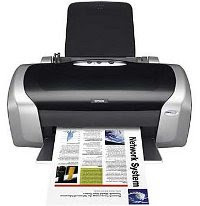 · Network and Internet fax capabilities. Nearly all fax machines have multifunctional options, allowing them to perform additional duties as printers, scanners, and PC fax modems. For instance, many models can be connected to your PC for use as a printer and/or a scanner. Depending on the machine these functions may be standard (common in low-end models) or optional. Options vary in sophistication and price, as well as the range of functionality offered. In general, they can add several hundred dollars to the price of a fax machine, though some can be found on the street for under $100. Incidentally, almost all such upgrades work only with Windows PCs; Mac OS users are largely overlooked in the fax market. In addition, many of them are designed for direct connection only, though this is changing. Approximately half of the models currently on the market support a network connection. While the concept of multifunctionality is attractive, the reality at present can be somewhat disappointing, so you may want to think twice before taking this route. Remember, regardless of the additional functions offered, the machine remains a fax machine, first and foremost. Right now, the most attractive multifunctional machines that are not platen-based are those sold in the sub-$1,000 segment and can usually be found for between $400-$700 at retail. With these models, it doesn't matter if the printer function is relatively entry-level, because machines at this price point are, by definition, catering to low-volume requirements. In some respects, the typical entry-level multifunctional machine offers better PC printing than a lot of $2,000 dealer-channel models. For example, the engine resolution is often higher, even if the speed isn't. But with the printer performance the same, it still adds up to a more well-rounded product. And you won't have the awkward imbalance of adding a low-end printer function to a high-end, high-priced fax platform. One of the fastest growing segments of the office equipment industry features a new kind of machine: the multifunctional. Sometimes referred to as an all-in-one, a multifunctional combines the functions of at least three different pieces of office equipment into one machine that s tailored to small offices, home offices and workgroups. Is a multifunctional right for you? Where is the best place to buy one? What features should you look for when buying one? What can you expect to pay? The questions are endless. However, the Better Buys for Business team has created this special report to help you cut though the clutter and tell you what you need the know to make an informed buying decision. • Scanning paper documents to your PC or to others as an e-mail. The theory behind multifunctional units is simple pack all the document-processing functions you could want into a single machine to save space and money. In practice, though, there are limits to what a manufacturer can combine into one device while preserving the integrity of the functions and offering a competitive price. • Image quality: Despite advances in ink jet technology, laser output remains crisper and clearer to most eyes, so if you only need black-and-white printing, a laser machine may be the better choice. • Speed: The fastest multifunctional machines have laser engines most now print at 12-15 pages-per-minute. Inkjet models are often slower, even when running black-and-white jobs. Also, inkjet vendors may quote the maximum speed and maximum resolution in the same breath, but it’s unlikely that you will get both at the same time. • Economics: The cost of supplies varies widely, but it tends to run higher for inkjet models than laser units. If you plan to generate high page volumes, these differences can mount up fast. Ink jet units can be less expensive than laser units to buy but are usually more expensive to run. • PCL and PostScript: Not all multifunctionals offer the printer languages PCL and PostScript, but use a less powerful printing system called Windows GDI. You ll pay extra for machines with these features, which are needed for printing complex files, particularly those with lots of graphics and different fonts. • Sheet-fed models: This kind of multifunctional is similar to a fax in that you place your originals in a document feeder when processing hard copies. The disadvantage, however, is that you can t copy a book or magazine unless you are willing to rip it apart. • Platen models: These work like regular office copiers. They come with a platen, which is the glass surface that sits on the top of the machine. You can lay bound originals such as books and magazines on the platen and make copies without damaging the original. As a general rule, platen-based models are more expensive. • Color models: If you need color copying, low-cost models can be especially slow several run at less than a page a minute. On the other hand, image quality can be surprisingly good. • Fax speed: Most fax-capable multifunctionals have modems that operate at a top speed of 14,400 bps. Higher-end multifunctional models include 33,600 bps modems. To take advantage of this faster speed, the party to whom you re sending (or from whom you re receiving) must match it. Otherwise, the speed will default to the slowest common level. • Fax memory: This determines how many pages you can scan into the machine when sending a large document, as well as how many it can receive if it runs out of paper. Low-end models typically come with between 100-150 pages of memory, while more expensive machines have 250 pages or more. 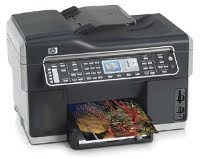 • Color faxing: A handful of models can send and receive color faxes, but there are limitations. Both the transmitting and the receiving machines must be color-capable, and this is still fairly uncommon. Also, color faxing can take a long time because of the large size of color files. Finally, image quality can be disappointing because the compression method used causes some image data to be lost during transmission. • Bundled software: Unlike printing, copying and faxing, which are hardware-dependent, scanning depends mostly on software. The most important part of scanning is what happens to the image after it has been scanned. Multifunctionals generally come bundled with a software suite that includes Optical Character Recognition (OCR) software for converting scanned documents into editable text, as well as image manipulation software for enhancing halftones and graphics. • Resolution: Contrary to what you might think, having the ability to scan at high resolutions isnot all that important on a multifunctional. Often, scanning at high resolutions (common when scanning photographs) creates large electronic files that are cumbersome to handle. For most general purposes, 200 dpi, 300 dpi, or 400 dpi will do fine. Though many machines offer resolutions of 1,200 dpi and higher, most people rarely scan at these lofty levels. • Ease of use: Scanning can be a tricky function to master, particularly if you ve never done it before. Some machines are easier to operate than others and it s worth trying out this function on demo models in stores. • This is one of the more helpful functions in the multifunctional category. It s something of a crossover technology, somewhere between scanning to a PC and faxing. Scan to e-mail allows you to take a hard-copy document, scan it into your multifunctional, and have the image sent as an e-mail attachment. The person receiving it has the option of either viewing it or printing it out. Look for multifunctionals that offer this function as a single button on the control panel. Connectivity & compatibility - Most multifunctionals feature either a parallel or USB (Universal Serial Bus) port for connecting to your PC. A growing number can be connected to a computer network, either by plugging an external network server into the parallel port or by installing an Ethernet card into the machine itself. Note that an Ethernet link can add several hundred dollars to the purchase price of your unit. If you are working from a Mac, make sure the multifunctional you choose works with that platform not all do. Ease of use - We can t overemphasize the importance of ease of use. With so many functions and features crammed into one machine, "user friendliness" is critical to determining whether you re getting your money s worth. Here are some things to consider: Does the software install rapidly and without creating conflicts with other programs? Are the various functions well integrated and easily accessible through the software? How easy is it to replace the supplies? Is the control panel uncluttered? packing as many as four functions and numerous features into a single product. Incorporating a multifunctional machine into your office can have both advantages and disadvantages. • It s far cheaper to buy one machine that combines three or more functions than to buy three single-function machines. • Keeping track of supplies and keeping the paper tray filled is far easier when dealing with only one machine; maintenance is easier, too. • Multifunctional models don t take up much space most sit comfortably in the corner of a desk. It’s likely you wouldn t have enough room for a copier, printer, fax, and scanner if each was bought separately. • When combining several functions into one machine, manufacturers are often forced to make certain tradeoffs, affecting what is made available to you. For instance, you may have to sacrifice fax speed to get a model that copies with a glass platen (where you place your original). Or, you may gain higher-resolution laser printing at the cost of engine speed, and so on. Keep an eye out for these tradeoffs. • When a multifunctional machine suffers a malfunction, your document processing may grind to a halt. Instead of losing only a single function, you re likely to lose copying, printing, and the ability to print an incoming fax. • If several people share the same machine, there can be contention problems. For example, when a print job is in process the other users are unable to make copies, or have a fax reception printed, until it is finished. High-end multifunctionals let you at least scan a copy job to memory, but most low-end models make you wait. • Some multifunctional models suffer from an imbalance of features. For example, the print function may be quite strong, while the copy or fax function is weak. • If you already own a single-function machine that suits your needs, it may not make sense to buy a multifunctional model just to get a additional functions. For example, if you already own a $400 desktop copier you might be better off buying a cheap consumer scanner for $69 and an inkjet printer for $129 rather than a multifunctional printer/copier/scanner for $399. But convenience isn t the only factor to consider when shopping for a multifunctional. Multifunctionals are fairly complicated products, far more complex than single-function printers or fax machines. If you can get a good look at (or a demonstration of) a multifunctional model before you buy it, you re less likely to have an unpleasant surprise once it s sitting on your desktop. The best place to get a close look is an office supplies superstore, but don t expect to see the full product line for any given vendor. Retail stores keep only a few machines on the floor in order to keep down costs. 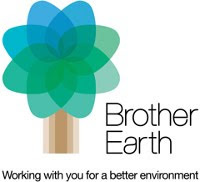 The Brother Group (president: Toshikazu Koike), which provides products worldwide from the group's bases located in forty-four countries and regions, has announced that it has created the "Brother Earth", logo and slogan to symbolize the group's environmental activities. Brother Group will use the new "Brother Earth" identity to convey group-wide messages about its global environmental protection activities on a global basis. The Brother Group "Global Charter" states "The Brother Group helps society achieve sustainable development, by positively and continuously considering the environmental impact of all aspects of our business operations". 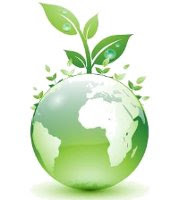 The group includes environmental considerations at all stages of its business activities: development of superior eco-friendly products, reduction of CO2 emissions and collection and recycling of consumables. The Brother Group will use "Brother Earth" to convey unified messages created based on its various environmental protection activities. These will include the environmental performance of Brother products and group policies and activities These will be communicated using simple statements online, and in sales literature. "Brother Earth" describes our positive attitude and commitment to our communities and our planet. Our goal is to play our part to help build a society where sustainable development can be achieved by continuously considering the environmental impact of all aspects of our business operations. Brother considers the safety and environmental impact of our products at every stage of their lifecycle; from design, development and manufacturing through to customer usage and disposal. Brother is committed to creating eco-friendly products primarily focused on reducing energy consumption and CO2 emission, promoting collection and recycling, complying with chemical regulations and contributing to biodiversity conservation. At Brother we will always take responsibility, act respectfully and try to make a positive difference. Message from "Brother Earth" - "Working with you for a better environment." This message signifies a sense of responsibility to protect our global environment and also the desire to consider environmental issues and take action together with all stakeholders such as customers. Brother will convey this unified message in each language of the group's locations or centers worldwide. The logo is designed to look like a tree. Each leaf represents a principal to value each factor of the global environment, while the circle of leaves symbolizes biological coexistence. The colors of the leaves express a fusion of the Earth's green and Brother's corporate color, blue. The English website has already been launched. The German, French, Italian, Spanish, Japanese and Chinese websites will be launched sequentially. "brotherearth.com" provides a variety of content: "Click for the Earth" see below, and an environmental quiz to engage website visitors with environmental issues. The site also introduces environmental activities being undertaken by Brother across the world. Visit our store for high quality Brother inkjet cartridges, laser toner cartridges & printer ribbons. Regular cleaning and maintenance will go a long way toward extending the life of your printer. In general, your printer will not require much maintenance, but you should make it a practice to clean the outside whenever you replace the ink cartridge. Simply wipe it with a damp cloth, but be careful that no moisture gets inside the printer and be sure to disconnect the power before starting. If necessary, use a soft brush or a computer vacuum cleaner to remove lint and dust from the sheet feeder and paper path. Placing a cover over the printer when it is not in use is a good idea in order to keep dust and foreign particles away from the print heads. Some ink residue may build up inside the housing. This is common and may be removed with a damp cloth. Never use alcohol, solvents or other cleaners as they may damage the printer. Also, do not use any lubricant on the metal rod that the print cartridge moves on. It is normal for the cradle to make noise when it is in motion. problem? It isn’t unless you turn it on and off from a power strip. Never do that. When you turn a printer off, it parks the heads in a very specific place. Shutting the printer down from a power strip may by pass the normal shut down procedure and the heads may not be parked properly. This can lead to the head drying out and becoming clogged. does work best when used regularly so it is recommended that you turn the printer on and make a small number of prints at least every seven to ten days. 1. On the printer - There is a cleaning button on the front of the printer (check your manual for the exact placement). Hold it down for three seconds and the unit will start the cleaning cycle. 2. Software - There is a head-cleaning utility built into the software that came with your Epson printer. For PCs, you may access it through the printer driver. Right-click on the printer icon in the Windows taskbar (or get to it through the Start menu, Settings, and Printers) and select Head Cleaning. For Macs, open the file menu and choose Page Setup or Print. Click the Utility and Head-Cleaning buttons and follow the on-screen instructions. Whichever technique you choose, the printer will make some noise while it works. This is normal. The green power light will also flash while it is working. Be sure not to turn the printer off while it is cleaning the heads. Once completed, you should use the head-cleaning utility to check the nozzles. Click on Print nozzle check pattern, then Print. If the resulting printed page is streaky, try cleaning again. If you do this a few times and it is still streaky, try turning the printer off and letting it sit overnight. This allows the dried ink to soften. Try cleaning it again the following day. You may also want to replace the ink cartridge. Be careful not to leave the cartridges lying out for more than 30 minutes, or the heads will dry up and the cartridges will be unusable. Open the Printer Utilities, select print Print Head Adjustment, and follow the instructions on-screen. For more information about cleaning your printer or aligning the print head, refer to your printer's user manual.